It's our first visit to Hemingway, a rather trendy spot just round the corner from Vincafe. 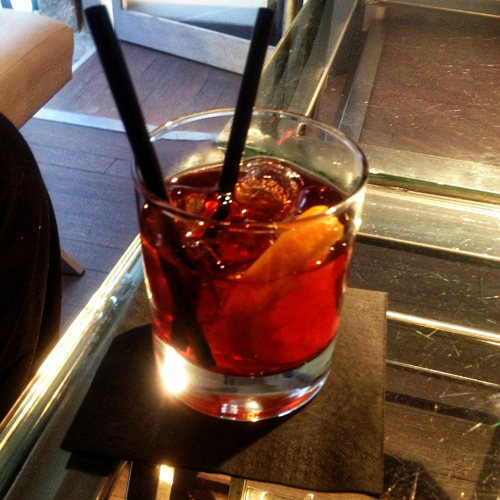 Very well made Negroni - very close to Calissano just a little smaller. 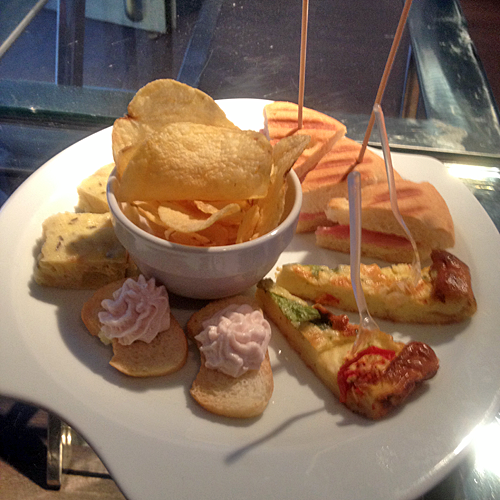 The aperitivo plate is impressive - freshly made, the frittata still deliciously warm. There are slices of zucchini sformato, stuffed foccacia and mortadella mousse on croutons. An excellent plate. Cost wise - interestingly it's priced exactly the same as Vincafe.